There is a leak in the engine cooling box. Some rusty rigging connections to hull. Hull finish paint needs repair in some areas. Freshwater through-deck leak reported by the Owner. Cabin heating is not working. A well proven safe comfortable cruiser, Endurance 35 is a classic and a must see for the sailing enthusiast. This Endurance 35 was first launched and registered back in 1999 when the Seller (first Owner) has completed his works on this well designed and popular self-built project. With special rudder and stern tube improvement paired with Autoprop propeller, the position of Whitlock steering wheel, engine panel and bow thruster, the Owner has made this Endurance 35 an easy manoeuvring and enjoyable boat. 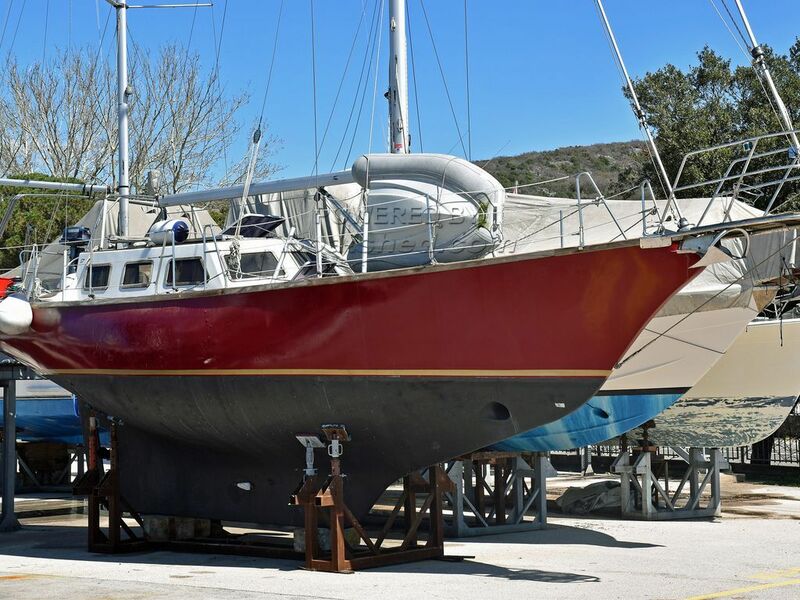 The owner has had the boat for the last 20 years and is selling due to health reasons. This Endurance 35 Well Proven Cruising Boat has been personally photographed and viewed by Maroje Mose of Boatshed Croatia. Click here for contact details.